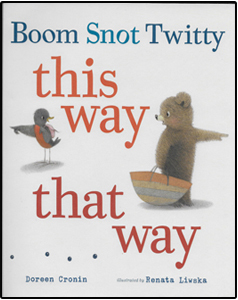 Boom the bear cub, Twitty the robin and Snot the snail are back for another adventure as they decide on the perfect spot to spend the day. Boom thinks the perfect spot is “this way” to the beach, while Twitty wants to go “that way” to hike and look. Snot brought the snack but keeps quiet about which way to go. 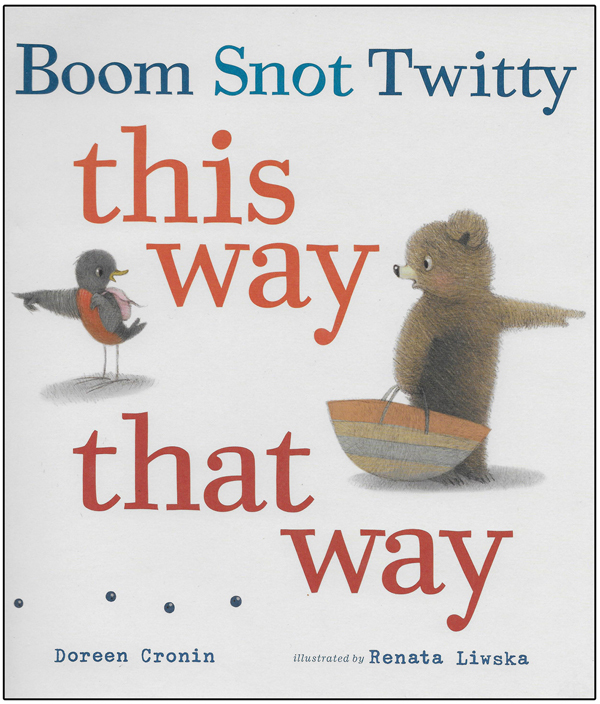 They soon discover that Snot is gone, and a trail of blueberries leads Boom and Twitty to a place they can all enjoy. Readalong CD & Hardcover Book.